LETS DISCUSS!! 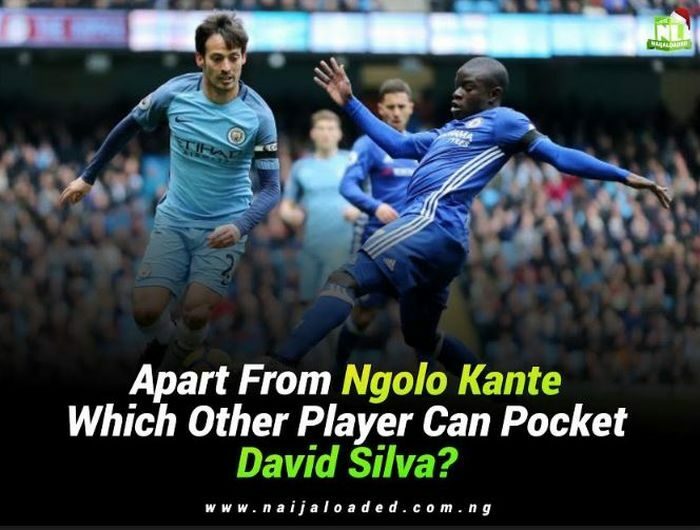 Apart From The Almighty N’Golo Kanté, Which Other Player Can Pocket David Silva? The stakes were high as Man City were looking to extend their incredible unbeaten record when they faced Chelsea in the Premier League. In a match many expected Pep Guardiola’s City to blow away Chelsea, it was the Blues that had the last laugh as goals from Kante & David Luiz condemned the reigning Champions to their first defeat of the season. One player that deserved so much praise in the match was Kante: His fantastic goal and incredible midfield display seriously helped Chelsea in the match. David Silva, Manchester City star man couldn’t influence the match as the everlasting N’Golo monitored everything he wanted to do. Without the talisman Silva given freedom around the pitch, City looked toothless and lacked creativity in the final third and you wonder why they lost?? I have never seen the so called Champions look so average this season like the match against Sarri’s boys. Which Other Player Do You Think Can Pocket David Silva Aside N’Golo Kante?